Malta’s drivers are not particularly known for their sense of courtesy. A scientific study sought to identify the best and the worst of them, writes Philip Leone-Ganado. If you have ever got the feeling that certain types of drivers are nicer to you on the road than others, you may now have the science to back you up. According to a study published in the latest edition of the Maltese scientific journal Xjenza, men in luxury cars, trucks or vans are the least likely to show courtesy to other drivers – while men over 40 driving family saloons are the nicest group on the road. Study authors Edward Attard-Montalto from Bath University and Simon Attard-Montalto from the University of Malta spent 88 schooldays driving towards a congested roundabout from a feeder road, where they did not have right of way, and noting whether drivers on the main road let them pass. In their analysis, carried out during morning rush-hour over a six-month period, they recorded the car’s make and model, the driver’s gender and estimated age, and whether any passengers were in the car, as well as the weather conditions at the time. To standardise the test, they used the same car each time: a beat-up 1998 Opel Corsa. The occupants, described as a middle-aged male driver and teenage passenger, were also the same throughout. What the authors found was that out of 185 interactions they analysed, just 43 drivers – less than a quarter – allowed what they call “courteous access”. Drivers’ gender, weather conditions and the presence or absence of other adults or children in the car all seemed to have little bearing, with statistically similar results in all cases. But vehicle type pointed to some significant differences: drivers of medium-sized saloons tended to be more likely to let the testers pass than those in small-sized cars, luxury vehicles, trucks or vans. Of the 48 saloons in the study, 18 drivers – 37.5 per cent – allowed access and 30 did not. By comparison, small cars gave way just 22 per cent of the time, and luxury or work vehicles just 11 per cent. Combining vehicle type with the drivers’ gender and age revealed even starker differences. Men older than 40 in medium-sized saloons let the other car through more than 40 per cent of the time, while male drivers of large and work vehicles fared worst: just two from 28 showed courtesy. 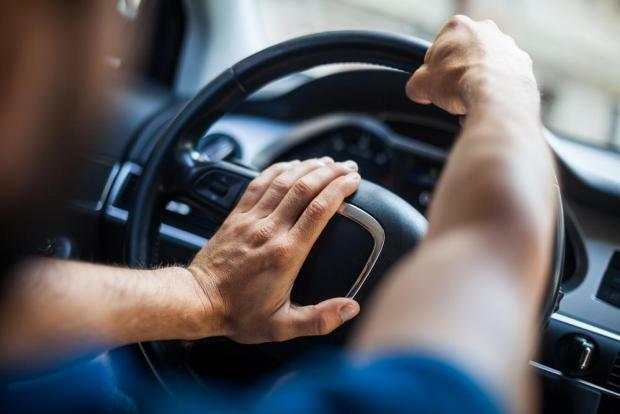 “This study confirms objectively the previously subjective impression that, in Malta, some drivers are more courteous than others,” the authors said. They also acknowledge that the results may have been varied with a different location, time of day, or if a flashier car had been used, and suggest a wider study that could analyse more driver-car combinations. So are Maltese drivers the hot-headed sort they are often perceived as? “Although this study does not support or refute this bold and rather negative generalisation, it also suggests a lack of courtesy on Malta’s roads,” the authors conclude.